The college application and selection process can be very demanding on today’s students and families. College counseling at Trinity Hall is designed to lessen the burden and assist each student in finding the college that is the perfect fit for her undergraduate years. Formal programming begins during the sophomore year, but the college counselor is available to all students and families whenever questions and concerns arise. Starting junior year, students will be given the opportunity to meet with college representatives when they visit Trinity Hall. Through student and parent meetings, parent information nights, college fairs, essay writing workshops, financial aid workshops and admission counselor programming, the college counseling program is designed to educate and assist each young woman in finding the best college for her undergraduate career. The college counseling program is designed to assist each student in discovering her interests and strengths, and ultimately finding the college that is the best fit. The college counselor will not only ensure that every student has all of the information needed about each of the colleges she is interested in – but also confirm that every college has sufficient information about both the student and Trinity Hall as a whole. It is never too early to start the college search process. 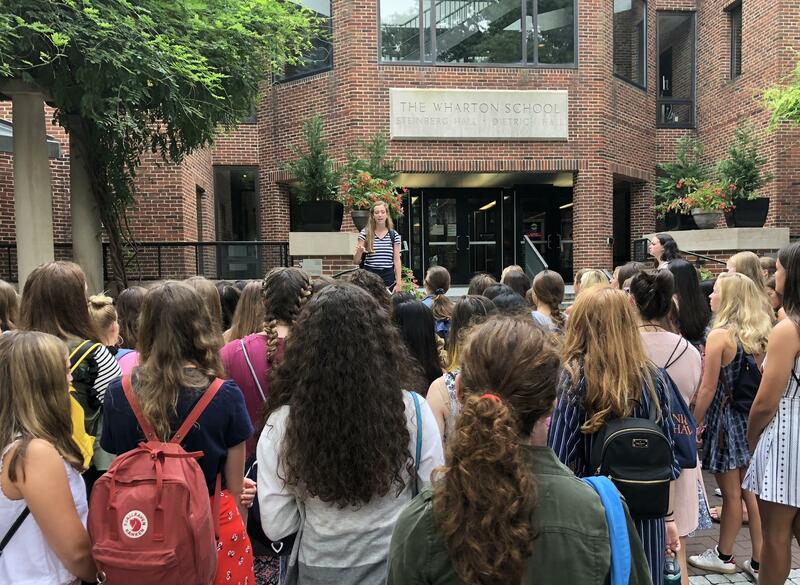 While individual meetings between the student and college counselor do not begin until fall of junior year, the college counselor is available at any time to speak with the girls about their college careers. While the final college decision is made by each individual student, the conversation should be between the college counselor and both the student and her parents. Beginning sophomore year, college counseling will include students as well as parents. For more information, email Christina Bergamo, Director of College Counseling: ﻿cbergamo@trinityhallnj.org.